We would like to thank the Tony Loy Trust for their very generous gift towards the creation of a new outdoor play area at Pre-School. This includes a large safety surface and new physical play equipment which will encourage children to enjoy climbing, balancing, jumping and running to develop their large motor skills and improve their confidence with their new found skills and abilities. Thank you so much Sheila, Francesca, Maria and Steve. The photo above shows some of the children playing on our fantastic new equipment. We have now drawn the winners of our Super Raffle, you know who you are! We would like to our express a huge thanks to all of you who bought tickets and all who very generously donated prizes. We raised a grand total of £2,000 which will be used for new books, learning materials & toys for the children of Blewbury Pre-School. Our fantastic donors of prizes were David & Sophie Harber, Chris Lakeland, Abi Barclay-Watt, The Red Lion, Laithwaites Wine, Emma Barnett, Beauty Essentials, Fraser’s Retail Ltd, Savages, Matt Pepper, South Moreton Boxing Club, Ben Morgan, Kathy Edmunds, Indigo Rye, TWC, The Blueberry, Ed Vaizey, Ashbrook Lets, Kate Pierce-Williams, The Eyston Arms, Sue & Paul Bibby, Wine-Man and not forgetting Elphin Lloyd-Jones for designing and printing all our wonderful tickets. Finally, we have been having some other building work happening at Pre-School over the Summer – the new mezzanine is nearly complete and we look forward to inviting you all to our grand opening in the near future. 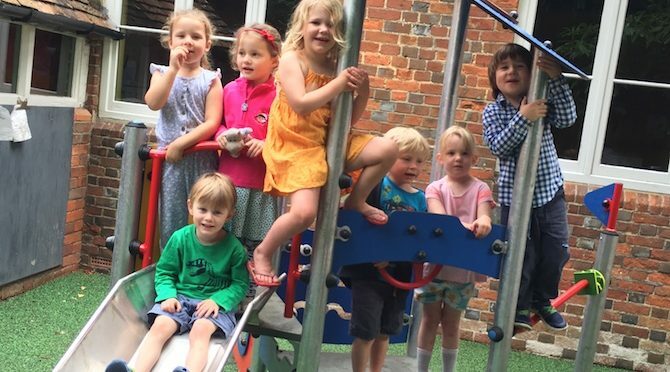 Thank you to the Malthus Trust, for supporting the adaptation of our lovely building enabling us to continue offering a fantastic start to the pre-school education of Blewbury’s children.